Having started out in the mobile space, making the somewhat twisted math puzzle game Divide By Sheep, Bread Team decided to embark on something more ambitious for their second title. Phantom Trigger is a combo-driven action RPG of sorts, blending in some roguelike qualities for good measure as well. With the events in the game happening in parallel with a story of a man who is very sick in the "real world" how the action on-screen relates to that story will likely be a central part of the game. The game is currently gold and is expected to hit sometime in the next month, assuming there are no snags in the process as we've seen for some indie titles and the Switch. While they are going through this process one of the members of the team was nice enough to field some questions to help shed light on their process, what influenced their development of Phantom Trigger, and where they may be headed in the future. How did your team get started in terms of both choosing game development as a career path and then in terms of how you decided to join to form Bread Team? VS: Me (Viktor Solodilov) and Denis Novikov are founders of the Bread Team. There are only two of us. So you start out with a puzzle game, with a pretty twisted sense of humor, in Divide By Sheep. 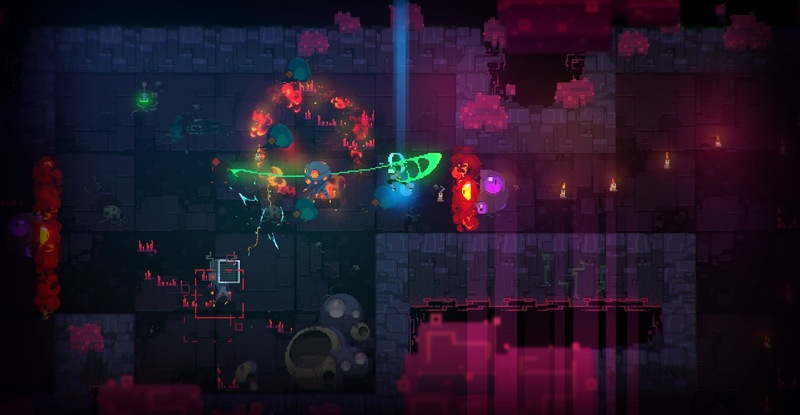 What prompted you to then decide, "Hey, let's make a colorful slasher/brawler game with combos about a guy in an alien environment complete with flashbacks to his everyday life where he's apparently terminally ill in some way"? VS: As players, we enjoy different types of games. As developers, we want to bring some of our own vision to our favorite genres, and sometimes even to create a completely new type of game. This what happened with Divide by Sheep and Phantom Trigger. 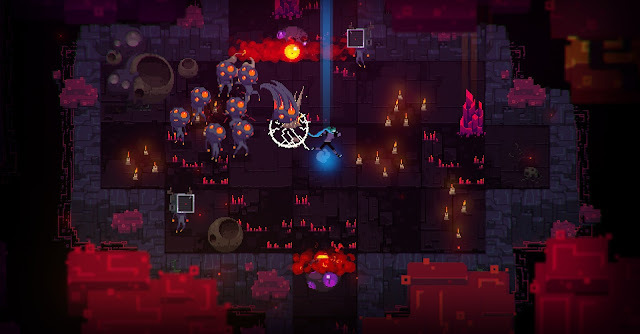 When people from the PC space saw art and footage from the game a lot of them noted visual similarities to Hyper Light Drifter, but then again I can think way back to games like Out of this World that also had somewhat similar alien landscapes and looks. Where did some of your inspirations come from for the aesthetics, in particular the often unusual enemies? DN: This is an excellent question. We were inspired by many games. When I was working on the game environment, I was heavily inspired by Soul Sacrifice. We like to experiment with mixing up unexpected things - for example, a level with a lollipop jungle, covered by spiderwebs. This creates very unusual environment. I really like using bright colors in the game. While making Divide by Sheep, we started experimenting with using different contrasting bright colors. Mixing up dark and neon colors creates very interesting effects. We really enjoyed combining those bright neon colors and dark backgrounds in Phantom Trigger. We wanted to show the enemies in the game as a part of one organism - since there are a part of Stan’s mind. We like to have one rule for all the enemies. In our case, this rule is eyes. Multiple eyes! That’s how Bubble-heads and other monsters in the game were created. Aside from the fact that the game doesn't shy away from being pretty challenging the combo system stands out as a major feature, in some ways making it a blend of a hack and slash with a brawler. What games helped serve as guides for the feel and flow of the combat? VS: Main references for the combat were DMC, Hyper Light Drifter, Soul Sacrifice. We tried many different combat options, and only the best fitting ones made it to the final game. One part of the description of the game is that it is "roguelike" but with the progression and checkpoints in the game it isn't like you're starting over from scratch when you die. What qualities does Phantom Trigger have otherwise that would help define it as that type of game? VS: There are roguelike elements in the game. Each time you die, you lose experience until the previous checkpoint. 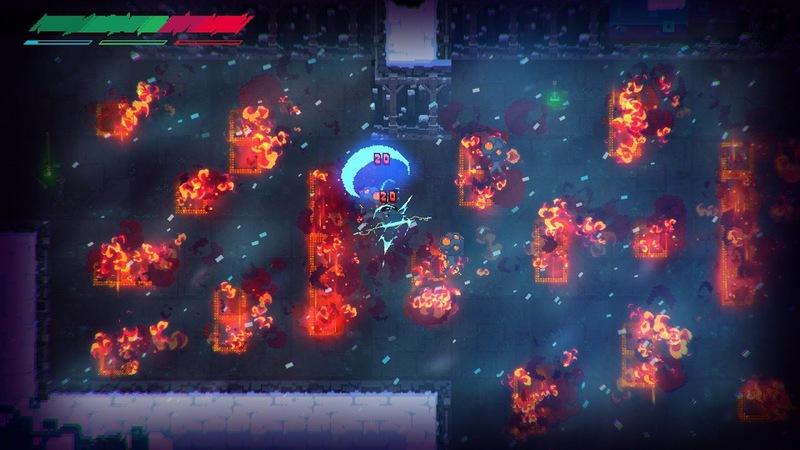 Each death will change the level: you will encounter different types of enemies and traps. 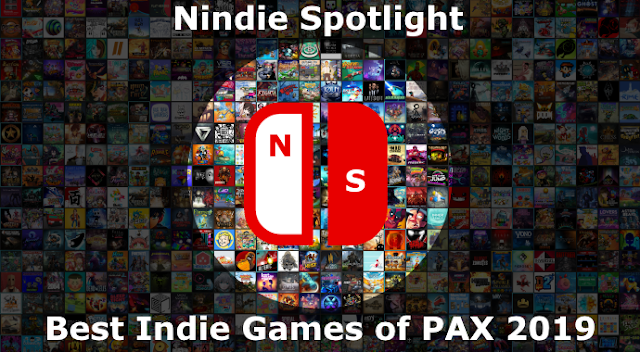 Like many other start-up indie developers you've moved from the mobile space to Steam and are now moving to Switch. What has that transition been like and what are the biggest hurdles and benefits you've seen with the introduction of more power, physical controls, etc as you've gotten away from the mobile space? VS: We were finally able to make a game bigger and more complex. There is more graphical and sound content. Now we can create big levels and use gamepad. Making games is easier now, when the device performance is not limiting our ideas. Having been in the Steam ecosystem what would you say is your current impression of that marketplace in terms of getting your name out there and convincing people to pay attention to your game when there are so many others coming out every week in parallel? VS: Our game belongs to a special subgenre - Slasher. There are not many games in this genre. You uncover the story in the most unusual way. The players will find many interesting things for themselves in this game. With a much smaller number of titles likely to release the same week as yours on the Switch, even though the install base is obviously much smaller, do you feel like the road can or should be easier, tougher, or about the same overall? VS: We believe that if the game is interesting and exciting, people will buy it. That’s why we did our best to make Phantom Trigger an exciting experience. As you move past Phantom Trigger, assuming you are able to have some success, are there any ideas for what type of game your team would like to try to tackle next? VS: If the players will like the game, we’d like to make a sequel. We've got many ideas for new stories. But it’s too early to talk about this right now. I wanted to thank Viktor and Denis for taking their time and Yulia at tinyBuild for arranging this interview. 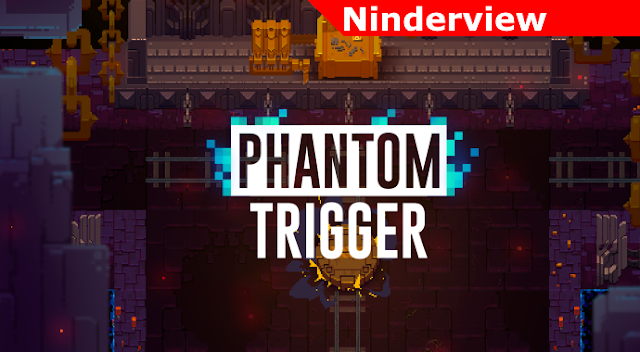 Phantom Trigger is currently planned to release on the Nintendo Switch and other platforms in the next month.